First wave starts at 10:00am and then a further start wave will start every 20 minutes. XLETIX Challenge The XLETIX Challenge (formerly: KrassFit Challenge) is the extreme steeplechase, which needs to be overcome as a team. You will overcome borders - mentally and physically. In an X LETIX Challenge (formerly: KrassFit Challenge) it comes with a team a challenging run course, which is peppered with obstacles to overcome. Bie this obstacle course includes strength, endurance, courage, willpower and especially team spirit. No reviews yet for Munich Germany XLETIX Challenge 2018. Click here to be the first! There are no rounds. Each section is new and unique! You can definitely start together in the team, even if some of the team have chosen a different distance than others. If you can not cope with an obstacle, expect 15 Burpees as a ""punishment"" - only then can you continue. On the course the Challenger are supplied with drinks and bananas in several places. The use of showers, toilets and cloakroom are included in the price for starters. 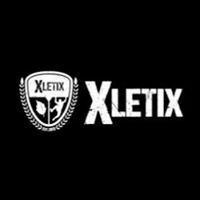 Please see our obstacle course race discount & promotion page for all the latest discounts, promos, promotions, discount codes, and coupon codes for Munich Germany XLETIX Challenge 2018. There also may be one listed at the top of this page.